Historic Druid Hills - Possible tear-down candidate. 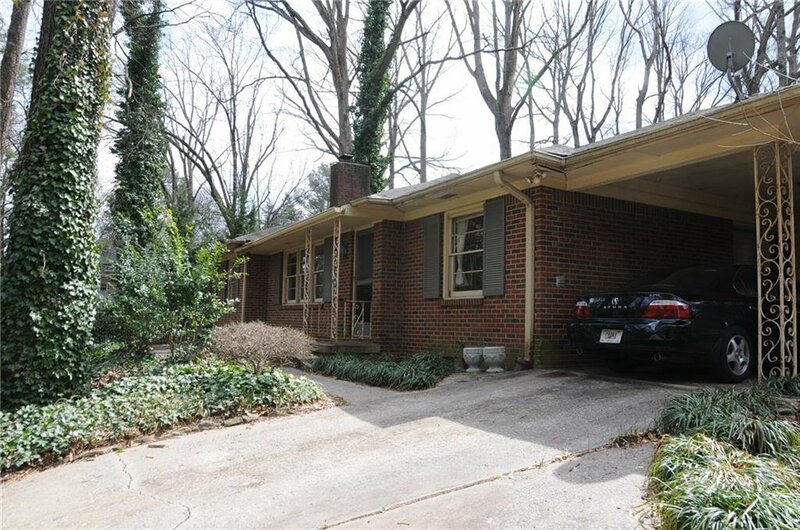 Brick ranch on hilltop setting with terraced back yard. Large paneled family room opens to tiled sun room, separate dining room, living room with decorative fireplace, old style kitchen (formica tops, no disposal, free standing gas range). Hardwood floors, spacious interior plan, 1 car carport, 2 extra parking pads (one on street level, the other by carport). Steep driveway, heavily wooded lot. No on-street parking, no planned improvements, property being sold as-is.